This stylish wall mounted basin is part of a classical contemporary bathroom suite collection. A high quality manufactured bathroom basin, designed by the top Italian designer Antonio Citterio. 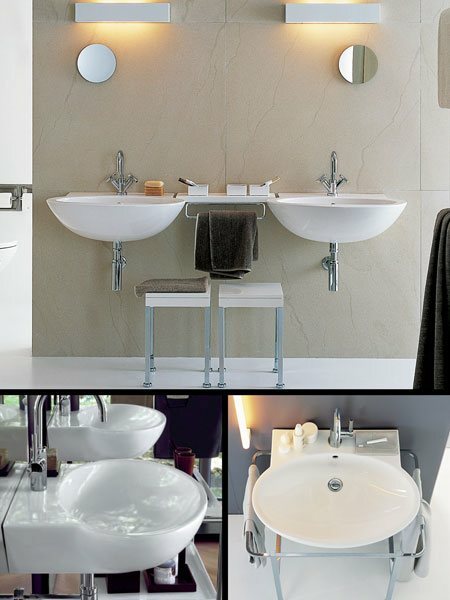 The bathroom taps and chrome basin trap are available as optional extras. * Part of a large collection.